Kenya Revenue Authority Commissioner-General John Njiraini undervalued a Sh2.93 billion property acquired in Nairobi, denying the taxman millions of shillings in stamp duty after paying only Sh160, documents filed in court claim. The filings, which effectively allege tax avoidance, indicate that Mr Njiraini paid the amount as stamp duty for a property jointly owned with Kenya Revenue Authority Staff Pension Scheme Registered Trustees that was bought at a staggering Sh2.93 billion. In the High Court filings, it is alleged the taxman potentially lost Sh29 million, being one percent of each share that Mr Njiraini — listed as a director and respondent in the case — and KRA Staff Pension Scheme Registered Trustees acquired. In transfer documents presented as part of the evidence, Mr Njiraini and the KRA Staff Pension Scheme Registered Trustees acquired Corporate Business Centre in 2015, a building in Nairobi’s Upper Hill, which currently hosts some of the taxman’s offices. The acquisition saw Mr Njiraini and the pension scheme replace the original owners and became new shareholders — effectively owning the property and the land it occupies. The property is registered under Corporate Business Centre Limited. The previous shareholders and directors were Kirankumar Manubhai Patel and Mandip Singh Amrit. Mr Amrit transferred his one share to Mr Njiraini while Mr Patel transferred his one share to the KRA Staff Pension Scheme Registered Trustees. The two shares were valued at Sh100 and, therefore, it is this amount that stamp duty was paid for and not the Sh2.9 billion. The revelations are contained in a suit filed by Lustman and Company Ltd that was designated as the lead estate agent between Mr Patel and Mr Amrit as directors of Corporate Business Centre Limited and the new directors. Lustman Ltd accuses both sides of engaging in fraud by “deliberately avoiding payment of taxes by not declaring the actual purchase price of the suit property by sale of the shares purchased and allotted, failing to disclose the correct and true value of the sale transaction in the shares transfer and failing to pay the requisite stamp duty for the shares transferred”. Lustman insists that by undervaluing the value of a share capital to Sh100 and not half of Sh2.9 billion amounts to contravention of Section 45 of the Anti-Corruption and Economic Crimes Act. Mr Njiraini, KRA Staff Pension Scheme Registered Trustees and the Corporate Business Centre denied the accusations. “The defendants deny the particulars of fraud enumerated by Lustman. The defendants were under no legal obligation or contract to disclose to Lustman details of the purchase transactions,” the defence says. In the suit papers, Lustman further charges that despite having been the lead agent for the transaction, the two sides secretly connived and dropped them from the proceedings when the deal reached the penultimate stage thereby denying the company its commission. “By an agreement in writing contained in the letters dated 08/08 2014, 12/08/2014 and 14/08/05 2015, Lustman Limited, which is a duly registered estate agent, was requested and agreed to act as the Corporate Business Centre Limited agent in getting and sourcing for a purchaser for its property and the building thereon situated in the upmarket area of Nairobi Upper Hill area … In consideration for a commission of two per cent of the sale price,” Lustman noted. The agent would have pocketed at least Sh58 million. Lustman further says it dutifully devoted time to search for a buyer before settling on the pension agency. But unknown to the agents, the property was acquired through purchase and transfer of shares of the company registered as the owner of the building namely Corporate Business Centre Limited. “Out of the sale transaction valued at Sh2.93 billion, the defendants failed, refused and have rejected to pay to Lustman Ltd for its services rendered as an estate agent thereby denying it its rightful commission despite being aware that Lustman introduced Mr Njiraini and the KRA Staff Pension Scheme Registered Trustees to the Corporate Business Centre Ltd after which they bought and had transfer in their favour,” Lustman says. On December 18, 2015, Corporate Business Centre Ltd directors, Mr Patel and Mr Amrit, held a meeting that resolved to transfer the shareholding to the new owners. Additional directors appointed on that day include Constantine Kandie, Evans Kaikai, Kimotho M’ Mukindia, Fiona Waithira, Christopher Were, Samuel Tororei and Alfred Maritim. The property in question is located on Elgon Road, Upper Hill Nairobi. It sits on two acres and has a lease of 99 years from October 1, 1988. It has 266 parking lots and its initial selling price was Sh1.8 billion as indicated in a letter by Lustman Ltd to KRA in July 2015. In his defence, Mr Patel said at no time did he and Mr Amrit contact Lustman Ltd as estate agents. He said the three letters Lustman Ltd mentions that originated from Corporate Business Centre Ltd were not from him or Mr Amrit, and disowns one Morrison Wayaya who had signed the letters on behalf of the property company. “All transactions by the Corporate Business Centre over the property and in particular letters and contracts were always signed by both the directors. Further, all the agents were engaged through signed contracts which bore the signatures of both the directors,” Mr Patel swore in his response. He further states that correspondence between the Corporate Business Centre and KRA Staff Pension Scheme Registered Trustees was not copied to Lustman Ltd.
“In any event, there was a billboard on site advertising the property for sale and the recommended letting agent on the billboard was Knight Frank. The availability of the building for sale was therefore a matter of public knowledge,” Mr Patel says. In his defence, Mr Amrit echoes Mr Patel’s stand. Mr Njiraini and the pension scheme trustees said that at no time did they contact Lustman Ltd. But in their reply to the denials of Mr Patel and Mr Amrit, Lustman Ltd states that Mr Woyaya was the general manger of their property. 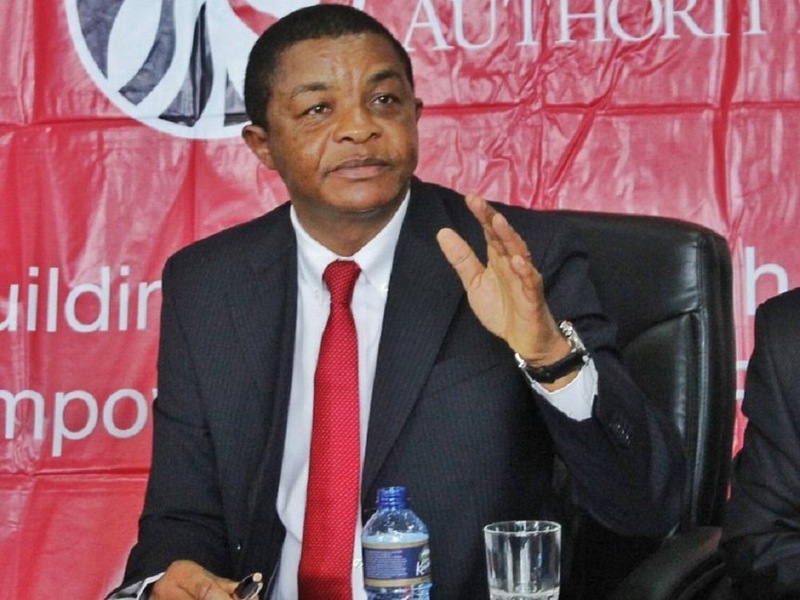 The company further indicates that its employees introduced the representatives of Mr Njiraini and those of KRA Staff Pension Scheme Registered Trustees to the offices of Corporate Business Centre in Westlands, Nairobi. “The claim of there being a billboard by Knight Frank and the issue of public knowledge is therefore not applicable to this suit,” Lustman Limited says. The High court is yet to set the hearing dates for the suit.